Jason Momoa is not usually one to miss his own wrap party. But unfortunately, he won't be able to make the big shindig confirmed to be happening tonight for his upcoming DC Films' adventure Justice League. While the wrap party for this ensemble will be going down in London tonight, the movie isn't finished yet. Here's what the actor who plays Aquaman had to say while sharing a new photo of himself working out in character. "There's too many people to thank for all their hard work JL. Tonight is our wrap party. I am so thankful for my cast and crew. I love you. I have never in my life missed a wrap party But as you all know I'm a huge fan of the food and merriment!!!! Unfortunately I prepare for the north. For those that will be there. I WON'T let you down Shaka aaalllooohhhaaa see u Monday xxxxxxxxxxxxxxx aquaman"
The Justice League movie is coming to theaters in time for the 2017 Thanksgiving holiday, and it will be the second big DC Films release of the year following Wonder Woman. Both movies shot this past year, with director Zack Snyder just now starting to wrap up work on this epic superhero ensemble. Though, the movie still has a few months to go before principle photography is over. It sounds like Warner Bros. wanted to have the wrap party in London while most of the cast and crew were still on set. Starting Monday, the movie is heading to Iceland. It is speculated that this final stretch will deal with Aquaman's backstory, and will also feature Bruce Wayne, who tracks the mighty King of Atlantis down. It's likely that Ben Affleck will also be a part of this shoot. It isn't known if any of the other cast members will be required on set in Iceland. And there hasn't been a firm wrap date issued at this time. Once Justice League wraps, and Jason Momoa is done with his part of the movie, he will move onto a different comic book property with a remake of The Crow. Then he will jump back in the ocean for his standalone Aquaman movie, set to hit theaters in 2018. 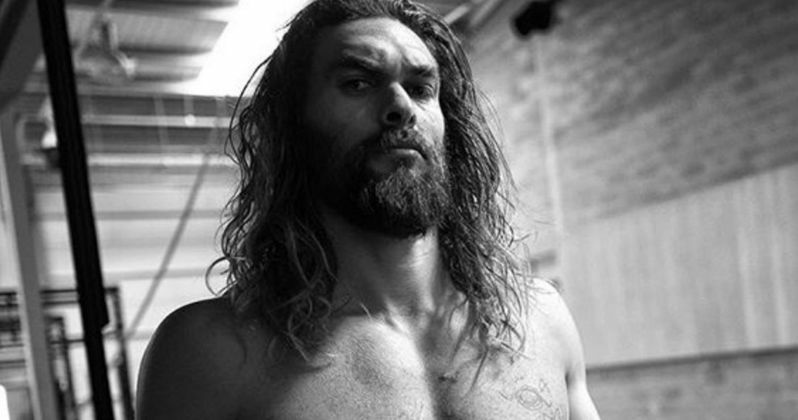 Take a look at Jason Momoa on set working out as Aquaman courtesy of his Instagram.